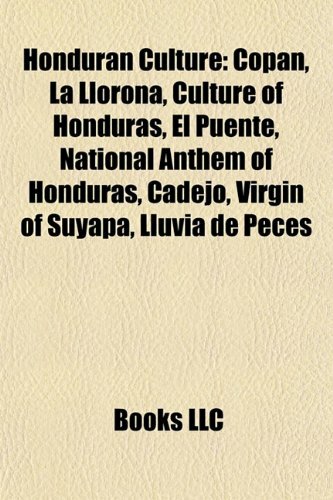 This comprehensive look at contemporary life in the small Latin American nation allows high school students and general readers to explore the many facets of Honduran life and culture. 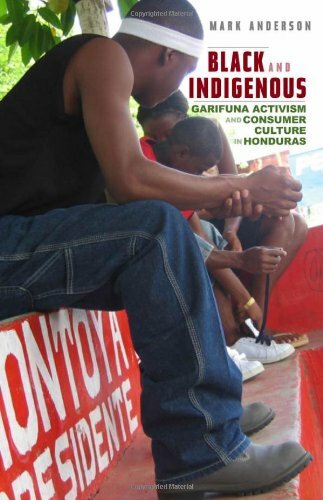 More and more Hondurans and scholars today are becoming aware of the diversity in the nation, and are realizing that rather than a single, homogeneous culture, Honduras is made up of many different cultures. 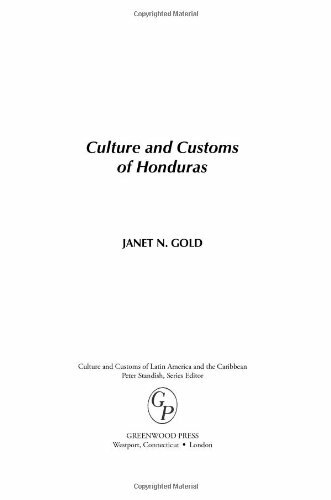 Gold incorporates this contemporary cultural consciousness in her treatment of Honduras's regional and linguistic diversity as well as in her descriptions of Honduras's indigenous communities. 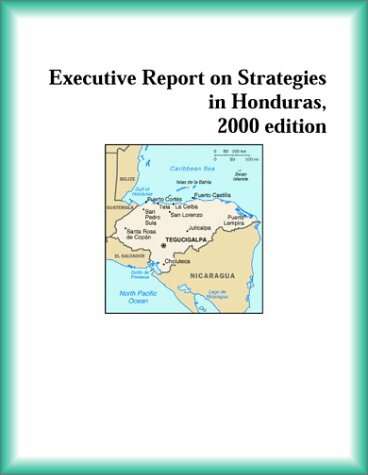 Key elements of the work include a look at national identity and cultural diversity, as well as an in-depth study of indigenous Honduras. Other chapters examine religion, as well as daily routines, cuisine, dress, media, sports, festivals, literature and oral storytelling, traditional crafts, visual arts, and music and dance. 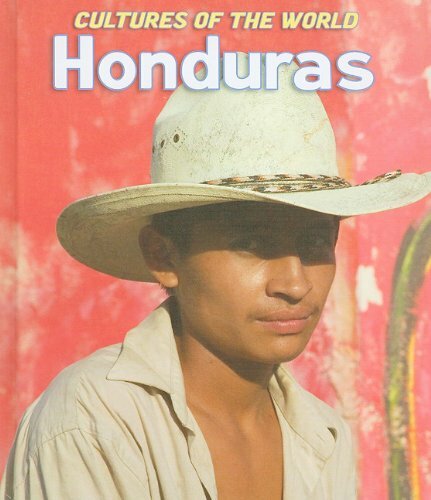 Ideal for high school students studying world culture, Latin American studies, and anthropology, as well as for general readers interested in the subject, Culture and Customs of Honduras is an essential addition for library shelves. 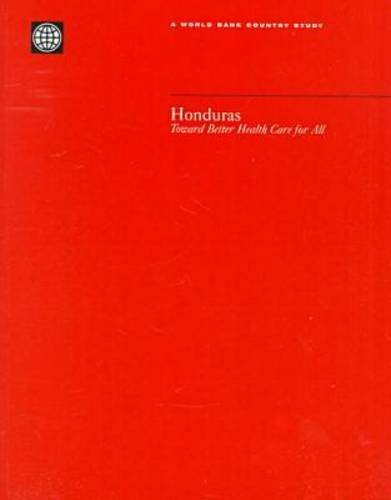 This book contains much valuable information for anyone interested in the business/corporate culture of Honduras, and the way that American government and business interests have negatively affected the lives and well-being of the Honduran people. 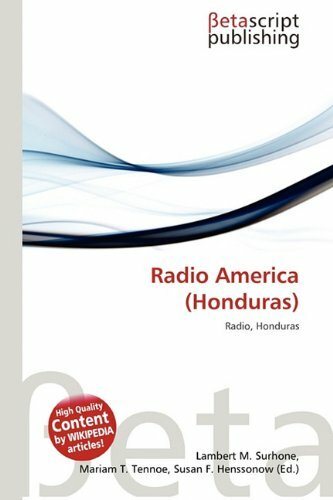 The author does an excellent job of explaining the problems with banana fungus and how the wonder treatment from the West - pesticides sprayed through high-powered hoses, the bananas then dipped into acid baths to take off the residue of the pesticide, had a long-term impact on the Honduran agricultural workers.Some of them claim that they sweated blue dye from their pores, ruining mattresses, sheets and clothing - the health problems were far more dire, including early death from respiratory illnesses. 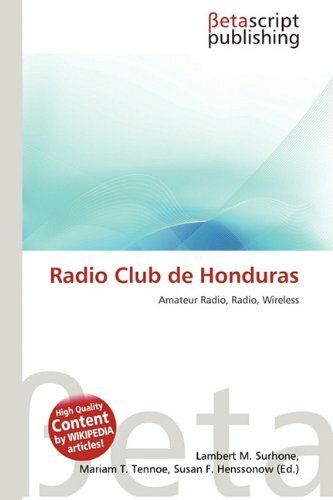 To us they are just bananas, but to Honduras they were a major source of income until big business got involved.If you want to see how big business can destroy a source of income for many small farmers and destroy the local environment, then this is the book for you.Read about how promises were made but not kept by big business.See how business "leaders" were doing just fine but local workers were struggling to make a living.Healthcare or benefits, for the local worker, why?The struggle goes on for the local Honduran people while the banana business just moved on. 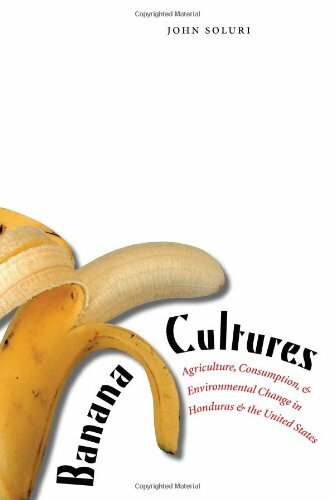 I very much enjoyed this book!It offers some interesting insights into the history of banana production in Honduras from an agro-ecological perspective.The impact of pathogens on patterns of production is not often highlighted, and this book does just that. However, this work also attempts to do too much and in the end (in this case, quite literally -- in the Conclusion), it doesn't do enough of all that it sets out to do.A tighter analysis on the role of the state in banana production would have improved the overall analysis.A sharper historical perspective would have also served this purpose.Furthermore, a wider discussion of the issue of memory in the Chapter on Prision Verde would have made a discussion of collective memory add a new and interesting dimension to the overall project. I have read umpteen books over the last six months on the subject on migrants leaving their Central American or Mexican homes for a shot at the dream of living in Ther United States. The ones that come here are predominantly wonderful loving parents ready to work hard and send the money they make back to the families so they can survive a little better than most of the people left behind to the abject poverty in Honduras, El Salvador, Guatemala etc. Their stories are always tragic full of loneliness, abuse and death. The people attacking them are robbers, gang members and renegade police officers, each countries el migra, ready to put a hold on the dream A hold is all that it is. These people are determined to run away from the poverty their lives have given them, willing to risk life and limb to reach loved ones who have gone ahead. 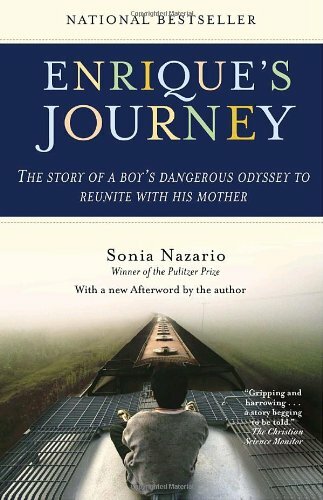 I have to highlight Enrique's Journey as the one most exceptional tale that I have read on this subject. 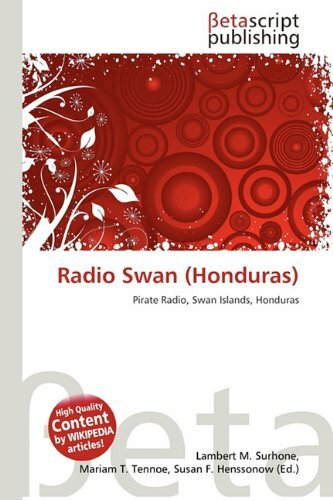 While other authors too have travelled with migrants to trace their stories and steps none have done it as efficiently, none have laid bare the awful tragedy or shown the determination of the people she followed so graphically than journalist and authorr, Sonia Nazario. Having met seventeen year-old Enrique's she goes about back-tracking, following up on every detail of his story from visiting his home town, interviewing his relatives, riding El Tran de la Muerte and witnessing for herself the terror of bandits on the roof of the train carriages, of people falling or being knocked from their perches to fall on the rails to perish or to lose a limb. She stopped and interviewed the priests that helped the migrants with food and shelter, the ones that stood in harms way to help strangers. In short everywhere Enrique went so did she. Super fast delivery! I was very impressed. I would buy from zonibooks again in a heartbeat. Thanks! Although the book has received numerous awards, and great reviews from critics, which I don't really see why, I hated it. The book is trying to garner sympathy for illegal immigrants. Simple as that. Sad story, simple story, not something I'm ever going to read again. The purchase was easy and the product arrived very quickly....would buy from here again! Thank you! An immigration reform is desperately needed in the U.S.